In the conventional classroom, many obstacles hinder interaction between an instructor and students, such as limited class hours, fixed seating, and inadequate time for meetings after class. This work develops a novel multimedia mobile classroom feedback system (MMCFS) that instantly displays students' responses, such as class-related questions or answers to questions on a quiz, on the instructor's computer. This system reinforces interaction between instructors and students and improves learning efficiency. Its features are as follows: 1) automatic attendance checking; 2) in-class real-time evaluation; 3) improved willingness of students to raise questions; 4) immediate grade enquiring; 5) cross-platform functionality; 6) a virtual mobile classroom; 7) data integrity; 8) low construction cost; 9) group learning; and 10) learning process recording. This system uses a client-server and three-tiered architecture models as its framework. When a class is in progress, the instructor only requires a notebook computer with a web browser, while students need a mobile phone or equivalent mobile devices with built-in Java Platform, Micro Edition (J2ME) and wireless support. A web server and the rear-end database can be located outside the classroom when network connections are available. Attendance checking, conducting quizzes, instant question inquiring, and grade inquiring are the four primary functions of the system. A questionnaire is applied to evaluate system's interactivity, mobility, and functionality. The 105 subjects comprised two classes of undergraduate students. The questionnaire addresses interactivity, mobility, and functionality. Its purpose was to compare the proposed system and the interactive response system (IRS). Experimental results show that the proposed system has superior interactivity, mobility, and functionality. The learning theory of this research is based on Behaviorism, Constructivism, and Cognitivism, the foundation of classroom learning and feedback. Feedback can make a teacher cognizant of the learning status of their students (Woolfolk, 2010). Through feedback, teachers are able to make adjustments to course materials or strategies. A teacher can also distribute material to students, who can then to make the necessary adjustments and improvements to their learning process. 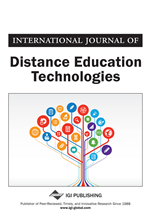 Recently, many multimedia mobile e-earning environments are existing in different situations (Callow & Zammit, 2012; Mostmans, Vleugels, & Bannier, 2012; Saran, Seferoglu, & Cagiltay, 2009; Vavoula, Sharples, Rudman, Meek, & Lonsdale, 2009). Several research results show that using the recorded video lectures enhances students’ performance (Abdous, Camarena, & Facer, 2009; McKinney, Dyck, & Luber, 2009). Meanwhile, many multimedia interactive learning tools are also used in different learning areas such as secondary school, nursing school, biology education, engineering education, medical and psychological education, and industrial practices (Bertacchini, Bilotta, Pantano, & Tavernise, 2012; Chiang, Lin, & Hwu, 2013; Craig, Michel, & Bateman, 2013; Granda, Nuno, Suarez, & Perez, 2013; Guzman, Dormido, & Berenguel, 2013; Petty, 2013; Schopf & Flytkjaer, 2012; Ward, Cole, Bolanos, Buchenroth-Martin, Svirsky, & Weston, 2013). Instructors often alter their methods according to feedback from students. However, when conventional teaching techniques are used, the amount and quality of feedback is limited. Teachers typically have difficulty monitoring the learning progress of all students when classes are large, and interaction between students and teachers is largely superficial (e.g., posing questions by raising a hand), impersonal (e.g., answering questions as a class) and delayed (e.g., take-home assignments and exams). Teachers spend considerable time grading students’ work. Students then typically wait days to learn their grades. Worse, such delayed feedback may not impact students’ learning. Thus, teachers have attempted to make their feedback increasing instantaneous and scientific. However, outcomes have been unsatisfactory. In most cases, few students have interacted with their teachers. Simply posing questions to a class does not result in a thorough understanding of learning status. In other words, a teacher cannot adjust their approach to meet students’ needs instantly. Teaching efficiency is thus reduced, and students may even stop attending class. In the conventional classroom, various obstacles limit interaction between students and teachers. Limited class hours, fixed seating, and inadequate time for after-class discussions are just a few obstacles (Liu, Liang, Wang, Chan, & Wei, 2003; Draper & Brown, 2004). With the introduction of multimedia feedback techniques, teachers can receive instant feedback from each student in a class. Moreover, such techniques facilitate precise and scientific analysis of data and can record the entire teaching process. The novel multimedia mobile classroom feedback system (MMCFS) in this work is based on a client-server model and is aiming to taking the advantages of modern information technology (IT) technology. Handheld devices like mobile phones or iPad use wireless networks General Packet Radio Service (GPRS), 3G, 4G or Wi-Fi to transmit immediate responses from students, such as in-class questions and quiz answers. Feedback from students can be displayed instantaneously on a teacher’s notebook computer. The teacher can then use this system with pre-designed materials and then modify course content according to feedback. In preparing courses, a teacher can always use this system as a piece of auxiliary teaching equipment. This tool improves interaction between teachers and students and improves learning efficiency.